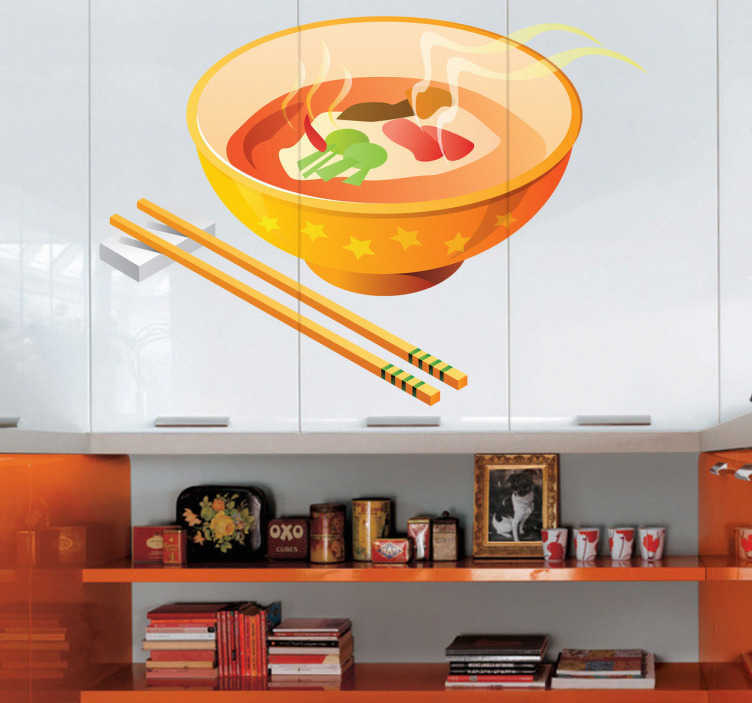 Kitchen Wall Stickers - Illustrations with a oriental chinese theme. Colourful chinese bowl and chopsticks. Ideal for decorating the kitchen walls, cupboards or appliances with an Asian touch. Also suitable for restaurant businesses.